What else has happened since I havent updated.......ummmmmm Olly the bird is going well (Jack isnt a fan LOL I'll put some pics in the next post and you can see for yourselves lol) I went to the circus with Mum ,Josh and Morgan it was fabbo but they didnt allow photography :( so I just got a couple of pics before the show started.......far out it was fun though Im such a big kid love it!! OMG its a double! !I had to scrap about what scrapping means to me.Sorry about the wonky photo of the LO's....I cant seem to download picasa on the lappy :( dont know why.......if anyone can help please do ...pretty please? 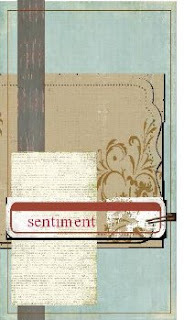 This is my card using Chloes card sketch earlier in the month......it was a fab sketch to use! 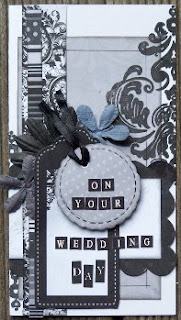 This is my card sketch which is the current one over at Wicked Princesses.....pop over and have a go!!! Ok I think thats all........hope everyone is good??? woohoo glad you have your lappy back honey.....and SO glad you joined the team !~~ it will be awesome working with you...can't wait!!! love all the pages...i nearly fainted when you said you did a double..hahahahaha...congrats on the HUGE win!!!! Wow!Congrats on the DT spot and the AWESOME win!!! Congrats on that Fantastic Win!! Glad to hear you are safe & well. I thought you might have been washed away in all that rain. WOW! Another DT position - Well Done. Woohoo congratulations on the DT spot AND the win! I love all of your creations as usual :). Wow gorgeous layouts and cards here Krissy! I totally missed that your WP card sketch was posted already! I did the card last week but didn't realise your sketch had been posted so hadn't posted my example anywhere! LOL, blame it on my pregnancy brain! and again, sorry I forgot to say HUGE CONGRATS on the DT spot! Well done!